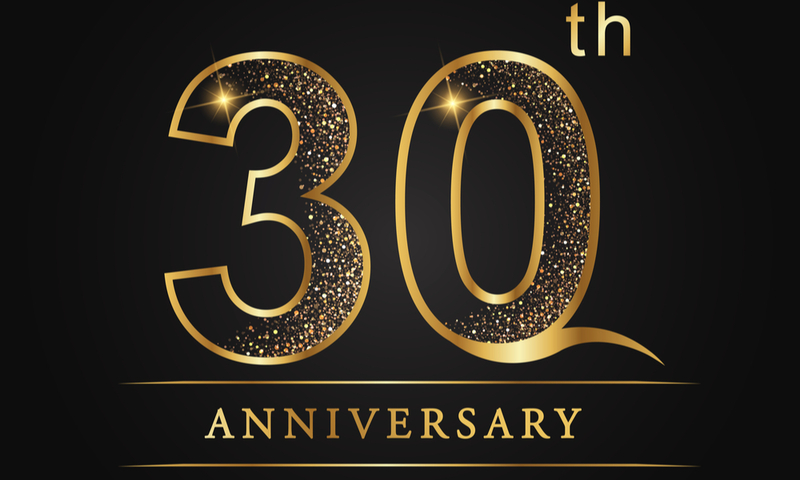 The National Capital Chapter of the Association for Corporate Growth (ACG National Capital) is reaching an amazing milestone – its 30th anniversary. And, to celebrate this historic occasion, ACG National Capital is throwing a party. On February 13, 2018, members and their guests are invited to the Barns at Wolf Trap, where they’ll be able to enjoy refreshments, live music and the signature networking that has make ACG National Capital the cornerstone of the business and deal-making community in the National Capital region. However, before the party starts, we’re using this milestone as an opportunity to look back and reflect on 30 years of corporate growth and business success in the DC Metro area. Prior to the celebration, we’re going to be sitting down with chapter leaders and longtime members to discuss their experiences as a member of ACG National Capital, analyze the evolution of the DC area business community over the last 30 years, and reflect back on some of the best deals and events of the past few decades. In our last post on Corporate Growth, Capital Style, we spoke with Beth Monroe, the CEO of JustinBradley, a staffing agency known for providing clients with exceptional financial, accounting and business talent. Our next Q&A interview is with another ACG National Capital member with a long tenue and history of successful business dealings in the region – Wes Teague, a Partner at Indian River Advisors, an investment banking and corporate development consulting firm that helps its clients accelerate growth and complete desired transactions at the most favorable value. Corporate Growth, Capital Style (CGCS): -Why did you first join ACG National Capital? Has your membership met those initial expectations? What other unexpected benefits have you derived from your membership? 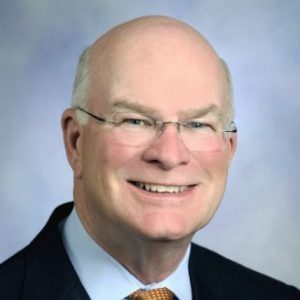 Wes Teague: I joined ACG National Capital 20 years ago when I was an owner of a small government contractor (+/-$6M in revenue) that my partners and I intended to grow through both organic growth, as well as by acquisition. Although I held an MBA in finance, and had worked in the investment banking and commercial banking community, I did not have any direct experience in acquiring companies. I decided to acquire an additional “Masters” in M&A, and did so by joining ACG. 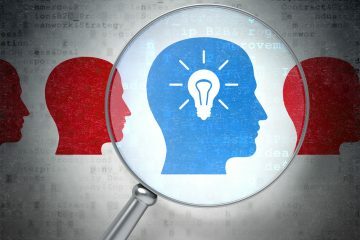 The body of knowledge available there was unbeatable, and I have developed deep relationships with individuals and firms representing all aspects of M&A and corporate growth. We successfully grew the business – a process that included three acquisitions – and sold it 15 years later to a billion dollar publicly-traded buyer. CGCS: What ACG events are of most interest to you? What events do you feel have the most value? Wes Teague: The events I appreciate the most are the Monthly Meetings with the speakers from a diverse range of business. At one time, it seemed that all speakers were mostly successful government contracting business, touting their specific secrets for success in growing their business and in becoming wealthy doing so. I better appreciate the different types of businesses (Honest Tea as an example) that span a variety of industries. I also appreciate speakers who expose their failures as well as success, since they are the most interesting. And that appears to be the direction that ACG has been going with their most recent Monthly Meetings. CGCS: In your tenue with ACG, is there a single event or speaker that really stands out as being exceptional or particularly memorable? Which event, and why? Wes Teague: I remember a meeting with a speaker from Bernstein who gave their sense of the market. It was so clear, clean and easy-to-follow that I can still remember it clearly. Instead of a spreadsheet filled in – every cell in every column and row – as so may speakers did in support of their successes, Bernstein had just three lines of different colors crossing at a particular point to support their discussion. So easy to see, so easy to understand. This taught me the value of clarity of thought and projections and I have striven to use that in my own work today. CGCS: What are some of the biggest changes that you’ve identified in the National Capital business community since you joined ACG? Wes Teague: It has expanded beyond just government contractors, and it has opened membership up to younger, upwardly-mobile members – individuals who will someday become the “C Suite” members we strive to attract. New member liaisons and mentor relationships have expanded the reach of the organization. CGCS: What are some of the most memorable deals you’ve witnessed since you’ve joined the chapter? Wes Teague: ManTech buying the firms with high clearances at then unheard of multiples and setting the bar very high for acquisitions in that world is one. There have been many others that were both interesting and unexpected. 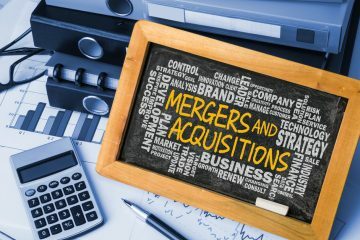 CGCS: What are the most interesting M&A and corporate growth trends that you’re seeing today, and what impact are they having on the region’s business community? Wes Teague: Consolidation as a form of protecting margins, and the negative impact that government rules on small business acquisitions has had on the growth of small businesses and their ability to benefit from that growth at some point in the future. A large business buyer can’t keep the small business work, so there’s no need to make the acquisition anymore. That creates a very tough spot for the small business owner. Growing has a negative impact at the top end.